Looking for a great day out in Derbyshire? Then look no further than Crich Tramway Village. 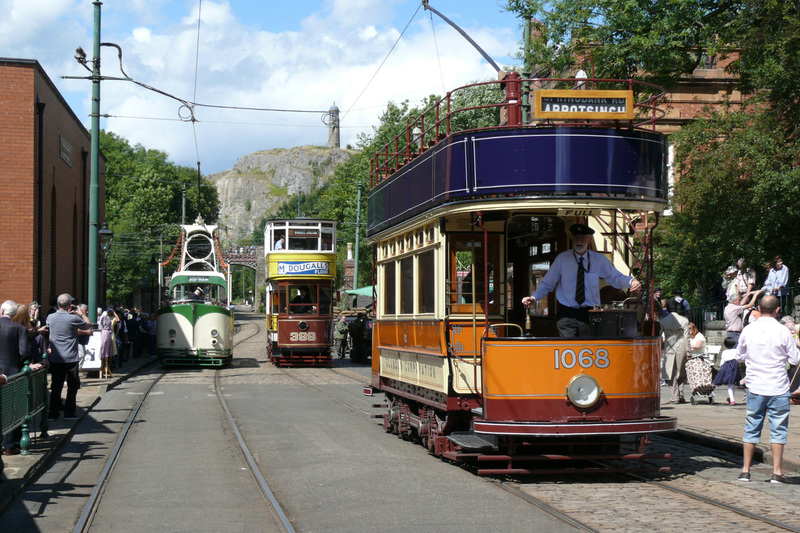 Nestling high up in the heart of Derbyshire overlooking the famous Derwent Valley, and open almost throughout the year, Crich Tramway Village is a lovingly-restored, period village that is also home to the National Tramway Museum and its world-renowned archives. See the tram restoration as it happens, enjoy a meal in the Tearooms or get away from it all in the Woodland Park and Sculpture Trail. There is something for all ages. Sat 18th March to Sunday 5th November,2017. Open daily from 10.00am to 5.30 pm. Last admission 4.00pm. Crich is conveniently situated close to many of the main routes running through the Midlands. This makes it readily accessible from Sheffield, Derby, Nottingham, Leicester, Stoke-on-Trent, Birmingham and beyond. Just 8 miles from junction 28 of the M1, Crich can also be easily accessed using the A38, the A6, the A61 and the A52. There are access ramps or lifts to all our visitor facilities, and a tram is adapted to lift and carry people in wheelchairs. A 'Wheelway' provides a smoother alternative to the cobbles for wheelchairs and buggies. Please note that some of the above facilities are available by arrangement. To avoid disappointment please call before your visit to check all facilities and that guides are available on the day you wish to visit. Please phone 01773 854321.